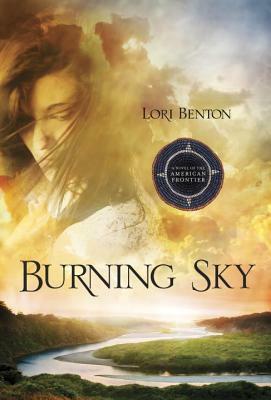 Burning Sky is the debut novel by Lori Benton and I can't wait to read more by her. 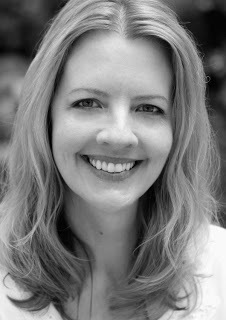 Lori Benton from the first page captured my attention and never let it go till the end. Burning Sky to the Mohawk tribe she was carried off to or Wilhelmina (Willa) Obenchain as she was called by her parents and friends before she was taken, is trapped between the two worlds she has now lived in. Willa lived with her parents and grandma in the log cabin on the frontier of New York State during the Revolutionary War. She lived with them till she was fourteen, the day she was carried off by a band of Mohawks. Willa was taken as a replacement for another child that had been lost. She was adopted into a clan and had a new family, even though it wasn't what she wanted. Over time, she adjusted and had a life amongst her new people. Twelve years later, her new life was snatched away from her with only the memories and heartache as company. Not knowing what else to do, with no connections to her Mohawk life, Burning Sky or Willa as she starts to refer to herself heads back to her old home.She arrives to her family's house to find it abandoned and the barn burnt to the ground. There are no signs of her parents and worse, there is a rumor around the settlement that her parents were Tory. Her family's land has been seized by the government with other Tory land in the area to auction it off. Neil MacGregor was a formally trained doctor now working as a botanist for the American Philosophical Society. He has been commissioned to go into the frontier to help document and create a field guide of the flora and fauna of New York State. In his travels, he has some misadventures that leads him to be knocked unconscious on the bordered of Willa's land with, a fractured wrist. Willa cares for him till he is able to take care of himself. Neill has every intention to leave as soon as he is able, but something keeps him around Willa's land longer. Willa is a woman who has had to deal with two major traumas in her life, but she keeps pushing through. After the second trauma, she is determined to live her life alone and away from anyone, not wanting help or to be close to anyone. Willa has closed herself off. Not only does Willa deal with heartache, but she also has to find out who she really is. Fourteen years of her life, she lived on the frontier on a farm, then for twelve years, she lived as an adopted Mohawk daughter. She lives between two worlds and both pull her in their direction, but she has to figure out where she belongs. Some people in the settlement were and are her friend, while others see her as nothing more than used garbage after her life with the Mohawks. Burning Sky pulls you in. Lori Benton has captured this time and has brought it to life with her smooth and beautiful writing style that keeps you wanting to read more. There is mystery involved with Burning Sky and as you read, you will be led to your answers with Willa and Neil. Burning Sky was a hard book for me to put down. I had to know what was going to happen! You can read the first chapter of Burning Sky HERE. Thank you to Water Brook Press and Blogging for Books, I received a copy of this book for free in exchange for an honest opinion.